Caesar Augustus had seen plenty of cataclysm and tragedy in his life. From the assassination of his adopted father to two civil wars, betrayal by allies, and the deaths (possibly murders) of his beloved heirs. And yet, we are told the thing that had him pacing the halls late on sleepless nights happened in a German forest. Legend says he would pound the walls and scream, "Quintilius Varus, give me back my legions!" 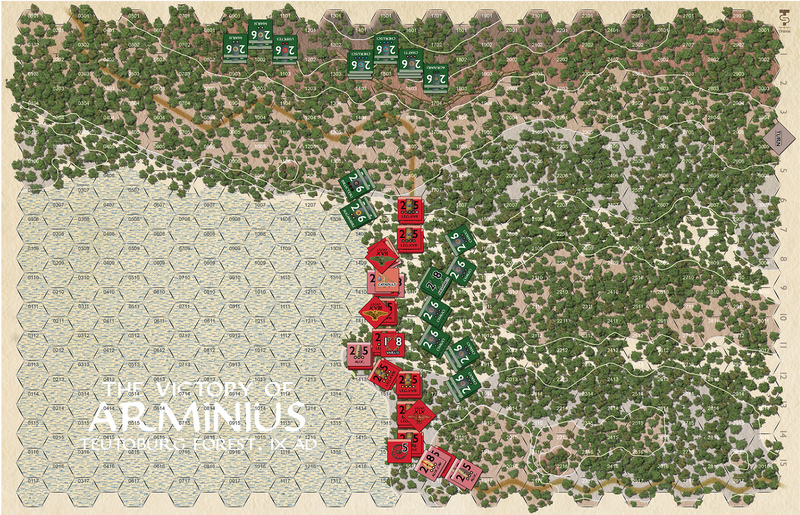 Earlier, a massive Roman expedition of over 100,000 soldiers had driven out the tribes and conquered, they believed, the newest Roman pro- vince, “Germania.” But a massive rebellion in the Balkans drew over half the entire Roman army, and a new governor, Publius Quinctilius Varus, moved to consolidate Germania with just three legions. His skills as a veteran administrator who was totally ruthless were thought to be the perfect combination to settle the new province. Neither troops nor ruthlessness would be enough, because they faced ruthless- ness of a different order. 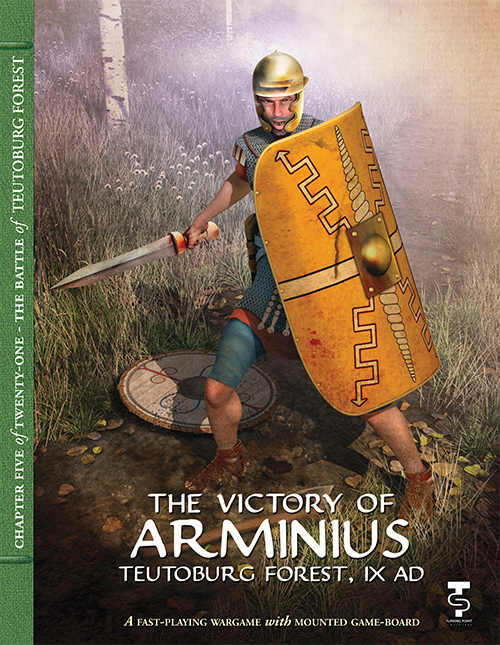 The Romans called him “Arminius,” but he was just “Hermann” to the Germans. He had grown up in Rome as an honored princely hostage and the Romans assumed he liked what he had learned. Instead, he was learning the strengths and weak- nesses of a Roman army and planning for the future. He managed to become a trusted assistant of Varus and was assumed to be a useful ally to his and other tribes. He was, indeed, forging an alliance. 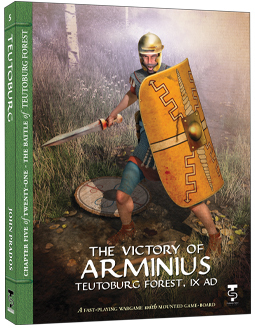 He then faked an uprising that Varus was encouraged to quell immediately, using an unfa- miliar route that Arminius selected...which turned out to be a narrow track through swamps and heavy woods, where the German warriors waited. It was almost too easy. When several days of battle were over, some- where between 15-20,000 Roman soldiers were dead - three full legions had disappeared from the rolls (and would not be reconstituted!). The “lucky” officers died on their own swords. Others perished in cruel ceremonies. Surviving foot soldiers were mostly pressed into slavery (and some were found surviving as much as 40 years later!). Roman retaliation would be terrible and prolonged, but the Empire never again tried to settle the land east of the Rhine. Examine the ground and see if you can do better. 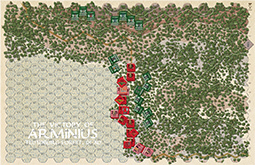 Though the ambush was perfectly set, these were trained Roman soldiers against a Germans mix of veteran warriors and farmers. It is more of an even fight than you might expect, and the challenge will be to improve on the historic outcome. About the Designer: John Prados is an award-winning designer and author. He made wargaming history with Rise and Decline of the Third Reich and has written numerous books on modern warfare and the intelligence services. John holds a Ph.D. in International Relations from Columbia, and has thrice been nominated for the Pulitzer Prize.